An Akshay Kumar starrer always has scope for some good music, regardless of the genre that it belongs. Kesari is a battle drama and it is not surprising to actually see half a dozen songs in there. A couple of songs from the film have already become popular and it is time to check out what do the multiple composers and lyricists have to bring on the table for the soundtrack. Kesari kick-starts with Guru Gobind Singh Ji's shabd 'Ek Onkaar'. There have been quite a few versions of the track that have been released during last many years and the most popular one has featured in Rang De Basanti. Now Jasbir Jassi comes up with his own rendition here and does manage to make a good impact. 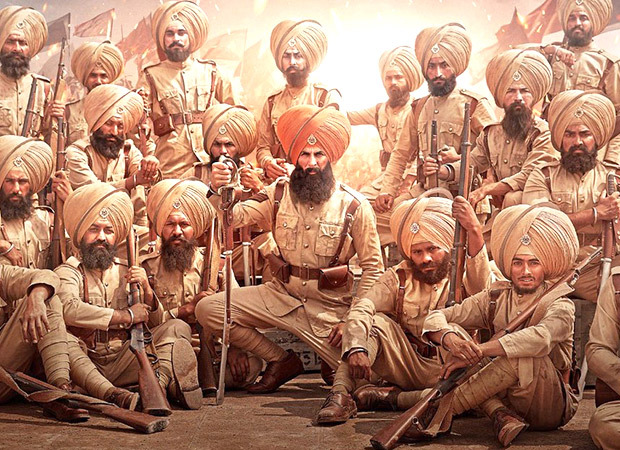 It is surprising to find a love song comes next in Kesari which is basically centred on a battle. 'Ve Maahi' is a pleasant surprise though as Tanishk Bagchi, who is known most for number of recreated chartbusters that he has delivered, delivers a soulful romantic number which is also written by him. Though the song has been released late in the day, it is bound to find good popularity in long term, courtesy beautiful vocals by both Arijit Singh & Asees Kaur who sing with their heart in. Next to arrive is 'Teri Mitti' which is easily the best track in Kesari. In fact it is also one of the best compositions to have been unveiled in 2019 as it has the right thump to it. Right from Manoj Muntashir's high impact lyrics that bring in the right mix of patriotism and emotions to the manner in which Arko composes this one with minimal instruments in the background, 'Teri Mitti' warrants a repeat hear. As for the man who makes it all possible, it is newcomer B Praak who impresses with his vocals and leaves a lasting impression. After a high intensity 'Teri Mitti', it is time for celebrations with Tanishk Bagchi bringing on 60s style music for 'Sanu Kehndi'. Set in a retro mode, this one written by Kumaar has a good vintage feel to it in every department, be it composition or lyrics. Same holds true for the manner in which Romy and Brijesh Shandilya sing this one, hence making it an all-around effort. It is time to bring back intensity with Chirrantan Bhatt coming with 'Ajj Singh Garjega'. This one hails the valour of Sikhs as there is pride written all over the lyrics, courtesy Kunwar Juneja. The manner in which Jazzy B sings this one, you are reminded of many a track like these that feature in Punjabi soundtracks, be it filmy or non-filmy. Yet another high energy song. Last to arrive is 'Deh Shiva' which appears in a male and female version each, and has a different set of composers and singers for both. The male version rendered by Sukhwinder Singh is a high decibel version that should make for a good impact in the film's narrative. Put to tune by Gurmoh, it has a wide canvas feel to it. On the other hand Jasleen Royal composes as well as sings the female version in her characteristic voice and this one turns out to be a much sombre version. Based on the shabd by Guru Gobind Singh Ji, this one marks an apt finale to Kesari. 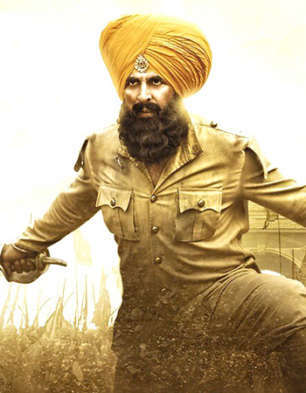 Kesari does well in packing as many as seven tracks in there and cuts across genres while still maintaining a consistent sound. The music is the kind that should earn longevity for itself once the film has a long run in theatres.